Summary: “The country will witness a historical mark with one lakh villages to be announced defecation free on Bapu’s Jayanti. Reports from MP are encouraging with 1,100 villages added to ODF list this fiscal. “The government spent Rs1.32 crore on villages to make them ODF this financial year,” said an official. 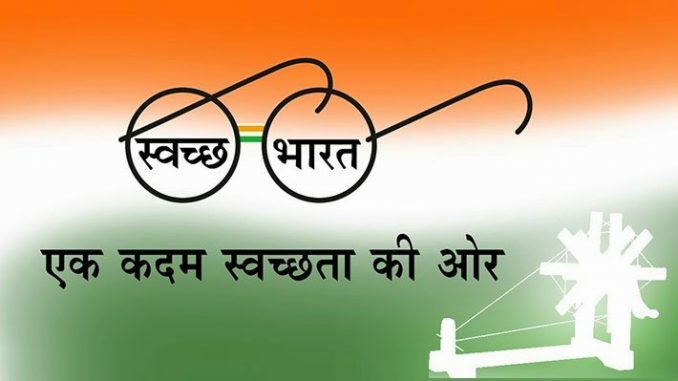 We have encouraging results on Prime Minister Narendra Modi’s campaign and hope to achieve the target of open defecation free India in two-three years,” said Union rural development, panchayati raj and sanitation minister Narendra Singh Tomar. BHOPAL: One lakh villages across the country will be declared open defecation free (ODF) on Mahatma Gandhi’s Jayanti that falls on Sunday while Madhya Pradesh will contribute 6,600 villages to the national figure after adding 1,100 villages to it.The day will commemorate 148th birth anniversary of ‘Father of the nation’ and second anniversary of Swachh Bharat Abhiyan (SBA) – cleanliness mission across the country. BHOPAL: One lakh villages across the country will be declared open defecation free (ODF) on Mahatma Gandhi’s Jayanti that falls on Sunday while Madhya Pradesh will contribute 6,600 villages to the national figure after adding 1,100 villages to it.The day will commemorate 148th birth anniversary of ‘Father of the nation’ and second anniversary of Swachh Bharat Abhiyan (SBA) – cleanliness mission across the country.”The country will witness a historical mark with one lakh villages to be announced defecation free on Bapu’s Jayanti. We have encouraging results on Prime Minister Narendra Modi’s campaign and hope to achieve the target of open defecation free India in two-three years,” said Union rural development, panchayati raj and sanitation minister Narendra Singh Tomar. Reports from MP are encouraging with 1,100 villages added to ODF list this fiscal. “The government spent Rs1.32 crore on villages to make them ODF this financial year,” said an official.